We understand that sometimes it can be difficult to visit a new church. We want to make sure your experience is refreshingly easy. You will be greeted by one of our kind members of the “Friendship Team”. They will make sure that you have resources to make your experience more enjoyable. You may dress however you please. We welcome everyone to come as they are. You will notice that most members will wear their “Sunday Best”. The only exception is when we have dress down Sunday, which is every last Sunday of the month. We will usually have “Dress Down Sundays” for a month or two during summer due to the high temperatures. Regardless, please dress in whatever way you desire, we just want you to be comfortable. • Doors open at 9:30a, in which there will be free breakfast provided. • We open service at 10:30a with exciting, eye catching video announcements (which last for about 30 seconds – two minutes), followed by cutting edge worship from our live “Praise and Worship” team and band. We will have lyrics on the screen so that you can sing along. • Our Pastor, Dr. Todd J. Pulliam, or one of our ministers, will always preach a life changing, revelatory, and powerful message. You will leave more inspired and encouraged as a result. Feel free to ask a Helps member for something to take notes, or even a Bible to borrow during service (we’ll be wearing black and orange name tags). • The power of the Holy Spirit is real in our services. People are often healed and delivered from illnesses, addictions, and more. You’re more than welcome to partake in these experiences. If you have children, they’ll LOVE our kids’ classes! We’ve put a lot of energy into making church fun, entertaining, and educational for kids of all ages – from 2 years of age through 5th grade. They have their own music, games, skits, object lessons, and even small groups that happen all while you’re off enjoying “big church” as they call it. One of our core values is to invest the best in the next generation, so we care deeply about our kids’ opportunity to learn and grow with Jesus. We understand how precious your children are and we take great care to make sure that they are safe at all times. When you drop off and pick up your kids there is a check-in & out process to make sure every kid gets home safely. Also, every environment is supervised by several qualified volunteers who have submitted to background checks and been cleared by our staff. As a guest, you will be encouraged to fill out a Communication Card and bring it to the Information Center located near the front door when you’re heading out. 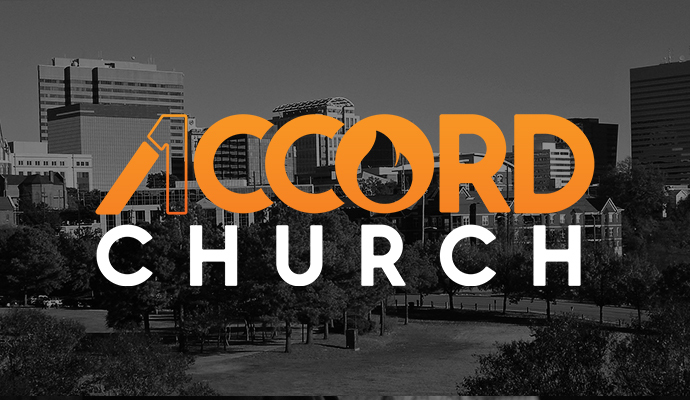 This helps us to stay in communication with you and let you know about all of the exciting things happening at 1 Accord Church throughout the year.